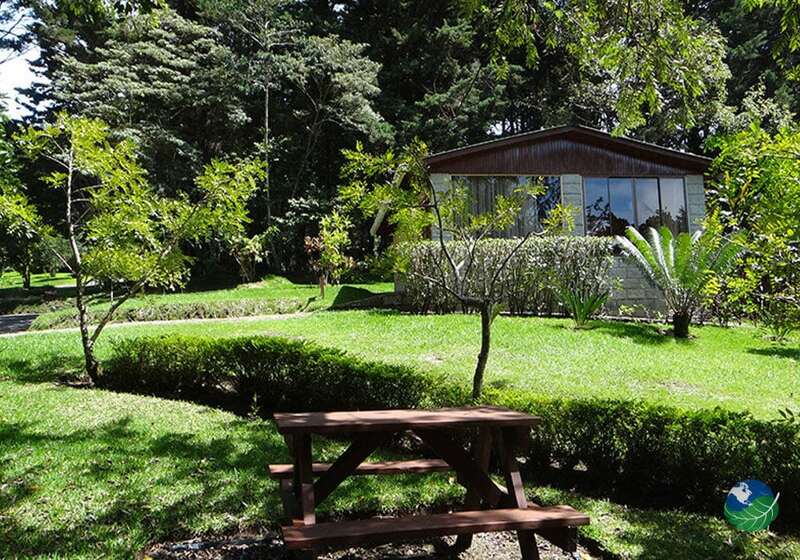 Hotel Cabanas Los Pinos sits privately between Santa Elena and the Monteverde Cloud Forest Reserve. This beautiful retreat center, right in the middle between heaven and earth. Also, it offers 14 private bungalows that will whisk you into jungle love and tropical adventures. Quiet, peace and serenity are waiting for you. This is a home away from home, fully loaded with private amenities. Including full single bed, TV-Cable, electric safe in room, also a private bath with hot water, living-dining room, and private balcony. 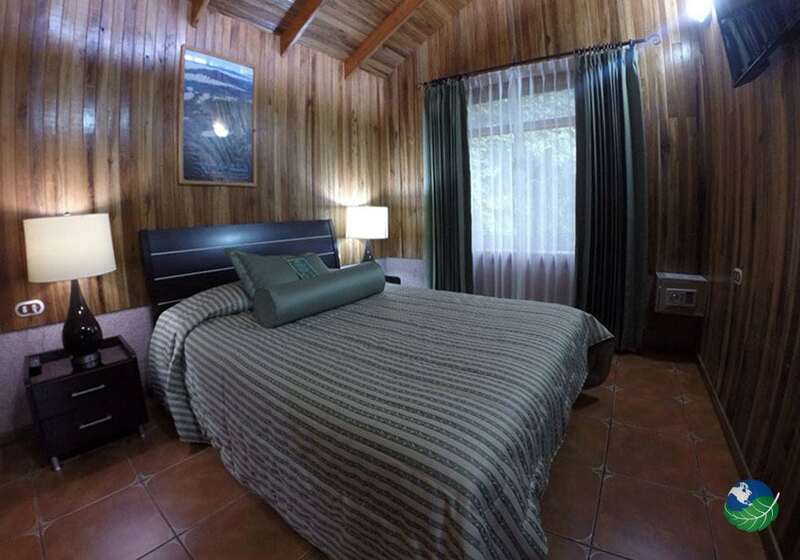 Hotel Cabanas & Jardin Los Pinos is romantic, rustic and a tropical rainforest retreat for you and yours. You will never have to leave your .room. 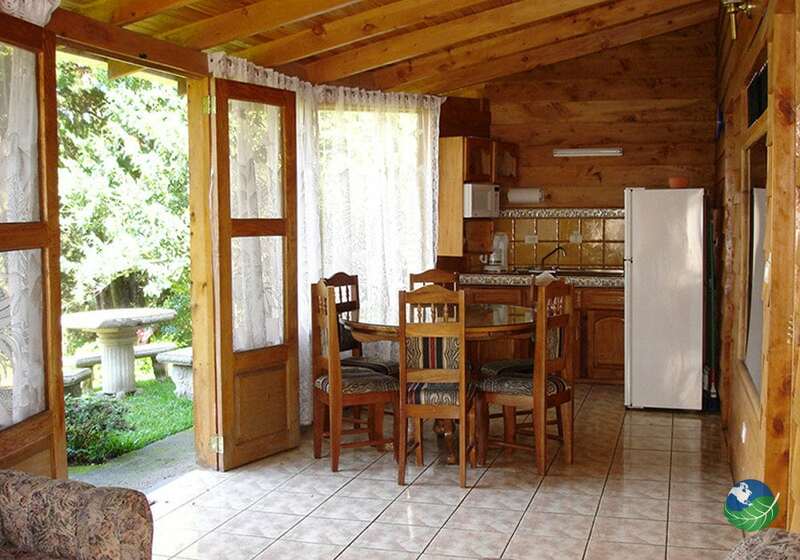 Read, cook, rest or commune in your private balcony with friends and family. This is the place you want to share with the people closest to you. 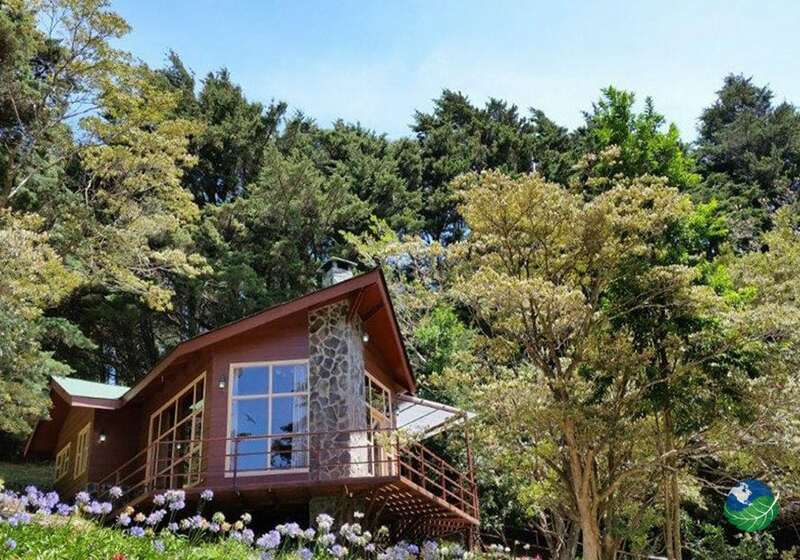 Intimate and serene, you will always remember your time at our Cloud Forest Sanctuary. 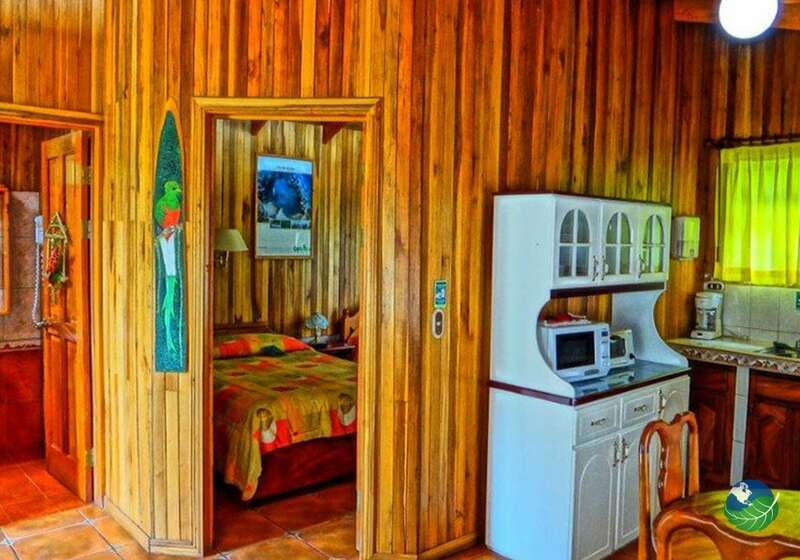 Los Pinos Paradise Inn is the perfect sanctuary for privacy. If you’re looking for quiet, peace and serenity, this is the place for you. Surrounded in between the Valley of Santa Elena and the Monteverde Cloud Forest Reserve, there is plenty of natural wonders to experience. In fact, 25,000 acres of plants and wildlife reside here you are sure always to be entertained. The Resplendent Quetzal, which migrates to the lower portion of the park in mating season and the endangered Three-Wattled Bellbird are just some of the unique species that can be seen with regularity when you stay at our Rainforest Sanctuary in the Clouds. Hotel Cabanas Los Pinos is an amazing Eco-tourism destination for those who are seeking solitude in the beauty of the Rainforest. 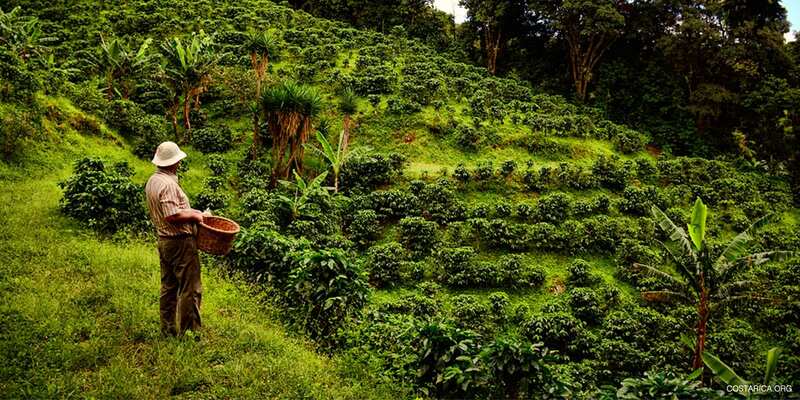 Although tucked away in the magnificent Cloud Forest Mountain Range. 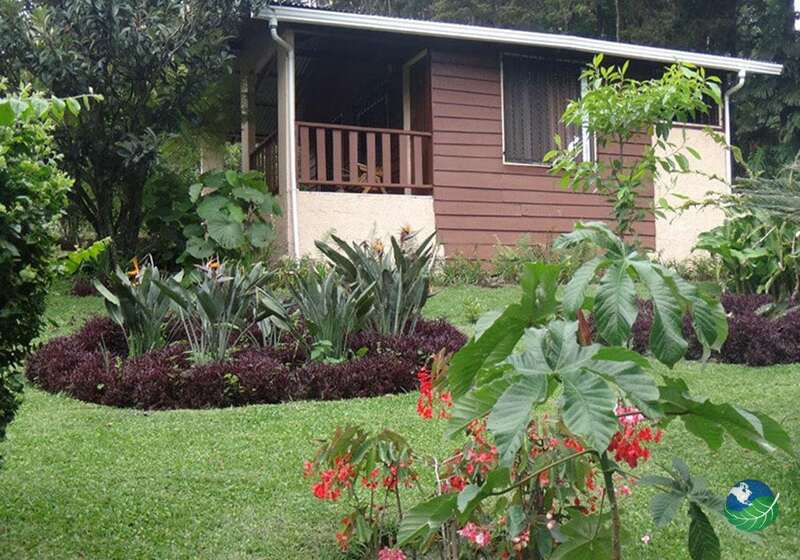 Visitors too can find all the modern conveniences in the nearby artisan community of Monteverde. Plenty of experience: restaurants cafe, shops, internet cafe and even a bank. Splendor, serenity, great tours and a healing sanctuary are waiting for you. In conclusion, your sure to have a fascinating and relaxing time here.